Be careful what you take credit for, Joyce Bateman. “I’m out of it for a little while, everyone gets delusions of grandeur!” -Han Solo, Return of the Jedi, 1983. It would appear that Joyce Bateman’s head is in the stars (the alternative location of her head, anatomically, would be far less flattering to describe in this post). “I am very happy to announce a new agreement on the future of the Experimental Lakes Area (ELA). Our government has signed a Memorandum of Understanding between the Department of Fisheries and Oceans and the International Institute for Sustainable Development (IISD). We have been working diligently to secure a third party operator for ELA and this agreement is an important step for the future. This new agreement will ensure that the long-term experiments being undertaken at ELA can continue uninterrupted during the summer. This is in addition to the $35.7 million our government has invested in Lake Winnipeg research. The IISD is well-suited to operate the ELA with excellent capacity, expertise, and an international reputation, translating into more highly skilled jobs. I will continue to workto ensure a smooth transition of ownership of the facility. Joyce, I’m not even that well connected to this issue, but even I know some clarification is in order to set the record straight. 1. “We have been working diligently to secure a third party operator…” I’m not sure anyone believes that. From what I understand, the full extent of the Government’s “diligent work” was to have some middle manager in DFO hold a meeting with a few University Vice Presidents, all of whom made it pretty clear before hand that this was not something any of them could take on operationally. 2. 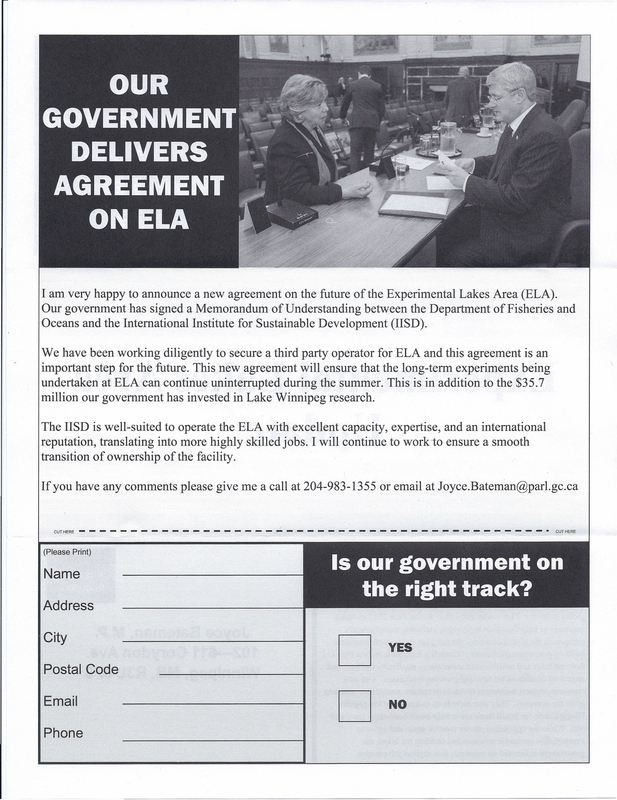 Joyce implies that the transfer of ELA to IISD will “translate into more highly skilled jobs.”. Joyce was apparently in the remedial math classes at school, as she seems to have forgotten that any highly skilled jobs that IISD might get as a result of taking on ELA will be from the (quite larger) pool of folks that DFO has informed they no longer have government jobs. So, laying a lot of people off and negotiating a transfer of a subset of them to another organization is not job creation, Joyce. It’s still a loss. If it wasn’t for the hard work of the Coalition to Save ELA, and so many, many people on the ground in academics (and in government), I’m sure Joyce would be happily reporting the closure of ELA to her constituents so that the Government can re-focus their resources to other priorities, like the senate expenses of Mike Duffy and Pamela Wallin. Joyce Bateman needs to pull her head out of her… stars. 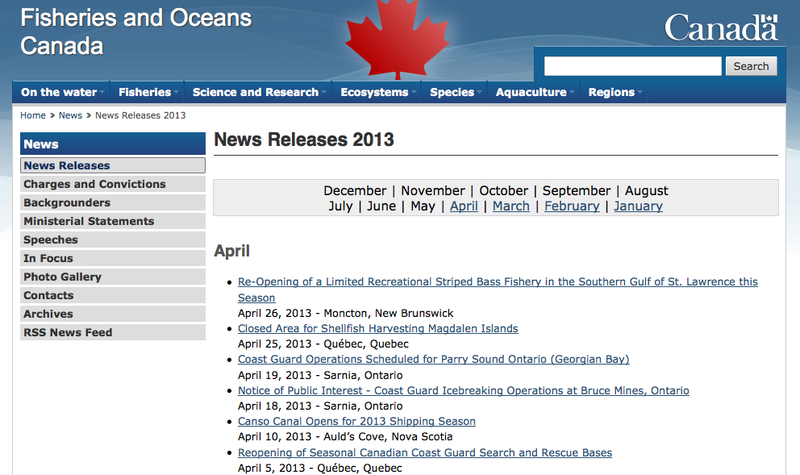 Okay, nothing there for April 13th, and no earlier announcements (you can check the site yourself to verify: http://www.dfo-mpo.gc.ca/media/news-presse-eng.htm). Hunh. 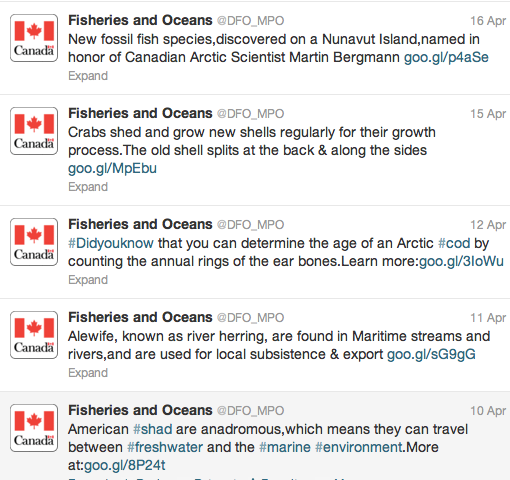 So all this news clearly overwhelmed DFO’s communication staff around the 13th of April, and besides, it’s only asking for public consultation on the Fisheries Act, which essentially guides how the department operates on a day-to-day basis. Nothing as important as talking about how to age cod. Oh- I see. Publication in the Gazette IS the notification. Because everyone I know reads the Canada Gazette regularly (clearly, it’s something we should probably be doing more often). Interestingly, there’s all kinds of amendments where consultation is currently being sought, by the Department of Environment, the Canadian Environmental Assessment Agency, and Parks Canada, to name a few. So, if you don’t cite the Canada Gazetter, the date of publication, AND address it to Ray, they have every right to toss your comments in the trash. Be warned. And in case you’re not going to read all these particular posted changes, the main issue they are seeking consultation on is review times for proponents who are undergoing “development” that has the potential to be harmful to fish. The proposed timelines are 60 days to notify the proponent that their application is complete and no additional information is required, and then 90 days from the time of notification that applications are complete to either authorize or refuse the proposed work. 5 months total. That should be pretty simple, since the department just cut 130 positions from the habitat program (the folks doing these reviews) and plans to absorb another $100 million in cuts over the next 3 years. This, despite recent work showing that review times on habitat authorizations weren’t taking very long before these changes. If you think these proposed timelines are as fishy as they sound, I would encourage you to submit your comments to Mr. O’Flaherty. And take note- you may need to actually work really hard as a member of the public to find out you’re being consulted with by the current government. Jake Rice, DFO scientist, author of “Advocacy science and fisheries decision-making”, published 6 months before Bill C-38 was tabled. Would he be “approved” to publish this if it were submitted today? 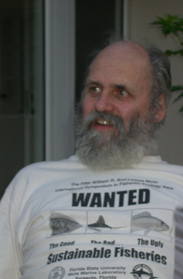 Not too long ago, Steve Cooke, a fisheries ecologist and Associate Professor at Carleton University, posted an interesting paper by Jake Rice on his twitter account. Jake is also a government scientist, and recently published a paper in the ICES Journal of Marine Science entitled “Advocacy science and fisheries decision-making”. It’s worth a read if you have the time (note: watch for the operatic references on page 3). In his paper, Jake argues strongly for keeping science objective, and not letting it be perverted by other motives. With some real-world examples, he argues that science should be presented as a means for policy makers to make decisions, vs. having science cherry-picked or analyzed in a certain manner to support a specific policy outcome. This paper was published in the fall of 2011, almost exactly 6 months before we knew what the sweeping changes contained in bill C-38 would contain. Among those changes relevant to the current post were the changes to environmental legislation: the Navigable Waters Act, the Species at Risk Act, the Canada National Parks Act, the Canada National Marine Conservation Areas Act, the First Nations Land Management Act, the Parks Canada Agency Act, and a whole new Canadian Environmental Assessment Act. 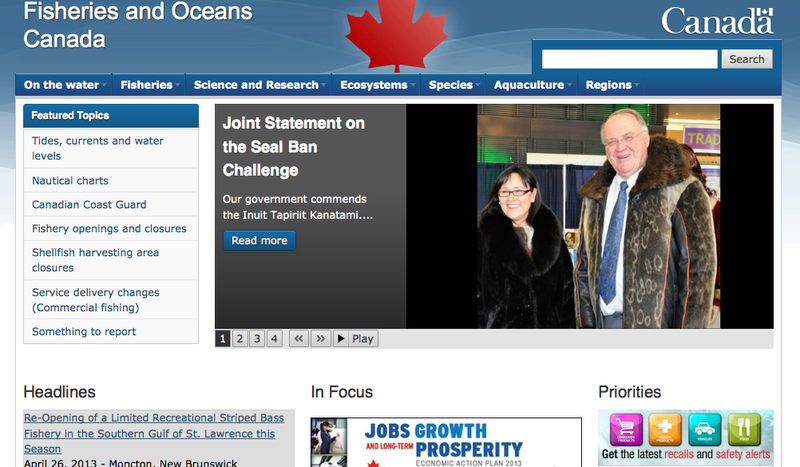 And let’s not forget the Fisheries Act. What’s noteworthy from the perspective of Jake’s paper is the role that science advice played in these policy changes, particularly those acts relying significantly on science previously. The answer: they didn’t. The sacred role of science advice in helping shape policy seems to have been totally ignored, and instead shaped entirely by those ‘partisan documents’ from special interests. Based on Jake’s assessment in the above quoted paragraph, this is not responsible decision making. And one interest in particular seemed to play a major role in shaping these changes to environmental legislation, since many of the acts which were amended match those suggested for revision in a joint letter sent to the government from the Canadian Association of Petroleum Producers, the Canadian Energy Pipeline Association, the Canadian Petroleum Products Institute (now the Canadian Fuels Association) and the Canadian Gas Association. Apparently, the fear of having been seen as ignoring science advice in shaping policy was not considered, nor the potential ecological (and therefore economic) consequences of these decisions. Perhaps people 2, 3, 5, 10 years from now will be questioning the wisdom of this particular batch of decision-makers, as many are now currently and openly doing. Instead, they’ve had scientists participating in precisely the exercise that Jake cautions against in his paper- using science to justify a particular policy decision. Advisory meetings bringing DFO scientists together from across the country have been held to try and make some meaningful scientific basis for it (mentioned here by the Atlantic Salmon federation, since the meetings and discussions of those meetings are not public). This is totally backwards from what should be happening- provide the science to shape the policy, not find the science to support the policy. So, what are we as scientists (both government and academic) to do moving forward when trying to do applied science that might inform government policy? Jake has some advice on this too, which I think is more relevant today than ever. Jake’s first piece of advice is to bring the science up to the level at which the decision is made. For example, rather than investigating “climate effects on fisheries from very important lake Y”, and leaving it at the level of how the fishery changes, take another paragraph in the discussion to explain the economic and social impacts of those changes- frame it in numbers of jobs, dollars and cents; what proportion of a particular communities economy is supported by the fishery, etc. While typically outside of the types of things we spend our time thinking about, it’s entirely relevant and in many cases, may not be so difficult to do. Arguably, this would also assist with connecting our work as scientists more broadly to societal issues, something we are often accused of falling short of. Jake’s second piece of advice is suggesting that science advice be presented using methods that evaluate the probabilities of various potential policies as well as the potential effects of being wrong. Jake uses the example of signal detection theory; this and other Bayesian-type approaches may hold promise for providing some of the “risk” information that the science advice doesn’t typically contain in a quantifiable manner, or the manner that decision makers might be looking for. It’s true that even this advice can continue to be ignored- but it needs to be out there for everyone to see and consider, so that it can be seen- objectively- when the decisions made by policy makers irresponsibly choose to ignore science. I thought this was too good to pass up. A great spot on the muzzling of government scientists today on the Sunday Edition with Michael Enright, which you can listen to here. Speaking with Michael is Gordon McBean (pron. “McBain”), a climate researcher at the University of Western Ontario, president-elect for the International Council of Science, and former Assistant Deputy Minister of Environment Canada, 1994-2000. I especially like the reference in the intro to Kelly Leitch’s defense of the government position, which she stumbled all over on Power and Politics last week, just saying the same speaking points over, and over, and over (as Rick Mercer recently pointed out, it’s not just us scientists that are muzzled). Kelly’s inadequate response can be found here. She says that publication is the way to go (despite the fact that even that’s now in jeopardy given new rules that make my Division Manager, not me, the person responsible for reviewing and signing off on copyright transfer on publications). McBean makes the point crystal clear: publication isn’t enough. To really be able to communicate science to the public, it requires speaking, in plain language, the research that is being done. It’s this that so rarely happens now. The topic eventually swings around to the potential “politicization of science” as a consequence of scientists speaking about their research. I think it’s important to point out that this swings both ways- e.g., by limiting communication and directing topics of investigation, the government is helping contribute to policy-driven science, not scientifically-based policy decisions. There’s a big difference, which I’m working on hashing out for a future post. Thanks to Osmia for the link, and to Greg Perry for the cartoon. Thanks Rick. Rick also makes the point that it’s not just scientists receiving this treatment, but basically everyone under the Prime Minister’s Office. 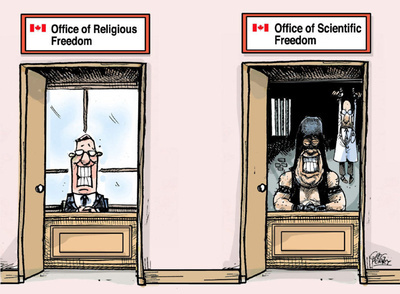 However, I see a bigger problem with limiting the ability of scientists to speak and report on their objective findings vs. limiting access to government ministers. The science produced by government scientists is paid for (in part) by the Canadian taxpayer, and they should be able to access the products of that work, in a manner that’s accessible. In a recent interview with As It Happens, Assistant Deputy Minister Kevin Stringer indicated that allowing government scientists to publish their scientific papers is the most appropriate way to access that science (but see my post here on how even publication of scientific findings may be in jeopardy). Pointing the public to scientific papers isn’t the answer; providing scientists the opportunity to explain their research via the media is a far more effective mechanism for getting the major points across. Stringer was quick to point out that DFO has provided all kinds of interviews in the past. So why hasn’t Kristi Miller ever been able to speak to the media about her paper published in Science on salmon viruses? Until things change, it will be taxpayer money in, but nothing back to taxpayers to show them they are getting their money’s worth. Is the future of government science being sabotaged from above? The contaminants program that was axed by DFO has been replaced by an advisory group that will fund external researchers to do the work DFO scientists used to do. Maybe this is where things are headed generally. One of the main venues that scientists have for reporting their findings to the scientific community is through scientific conferences. As a graduate student, I attended 2-4 scientific conferences a year. This provided an impetus to get some stuff done so I would have something to present, as well as provide many, many MANY opportunities (often unforeseen) in order to gain constructive feedback on the work I had presented, and an opportunity to meet collaborators for additional work. Then, I became a government scientist. I looked with anticipation to a meeting only 3 months away, which I very much looked forward to attending. When I mentioned it to my colleagues, they laughed. “You want to go to a conference that’s only 3 months away? You should have put that in a year ago!! !” Understandably, I was confused, as I’d only just joined the public service. However, this is the way it works. In September 2013, we science staff were asked to provide all meetings we anticipated attending for all of 2014. A FULL YEAR OR MORE IN ADVANCE. This seems strange, particularly to government scientists, since we are being asked to identify conferences we wish to attend when conference dates are typically only tentatively announced, AND, we are being asked to forecast expenditures (e.g., associated with conference travel and registration) into a future fiscal year when we don’t even know if we’ll have the money available to attend, since the government is so keen on keeping us funded on a year-to-year basis. Okay, planning ahead is a good thing, right? You think this would mean that we’d find out we’re eligible to attend well in advance, so we can get the early registration fee, saving the taxpayer $100 to $200 dollars, and get our accommodation booked early, ensuring additional savings. Right? WRONG. Typically, we’re lucky if we find out 1-2 weeks before the conference if we’re approved to go. That means we pay premiums on airfare, because we have to book through a centralized system and therefore pay top-dollar for booking flights 1-2 weeks away, we scramble to find accommodation, and we sigh in relief that the registration we’ve already paid will be reimbursed because otherwise our abstract would have been denied. Worse yet, this has NOTHING to do with whether you have the money to attend or not. I’ve been in the situation where I’ve had external funding to send me to a conference all lined up, and been denied (with no explanation), and similarly, been approved to attend a conference for which I have no funding to attend (because I had to ask for it 1.5 years in advance, and could not secure funds for the meeting). So, our bosses ask for 1 to 1.5 years advance notice for meetings, and we’re told 1-2 weeks in advance of the conference if we can attend or not, REGARDLESS of whether we have funding to go or not. We cost the taxpayer a premium in travel costs because of this ENTIRELY bureaucratic delay. AND, it’s yet another example of how our Canadian government keeps the science that we do suppressed from both the scientific community and the general public. Don’t like the message in that abstract that was sent for approval? DENY PERMISSION TO ATTEND. Or, grant them permission, knowing full well they have no funding to attend, because you DENIED PERMISSION for applying to certain external grants. Even worse, you get granted permission to attend a conference and report your findings, only to find you have a babysitter in tow. Plenty of stories are in the media about Environment Canada scientists, among others, being “advised” on how to conduct themselves at conferences, and even having media advisers in tow. What you might not have heard about was a recent Canadian conference, the Canadian Conference for Fisheries Research, held January 3-5 in Windsor, Ontario, which had a special session on the Experimental Lakes Area. The meeting actually had quite a bit of media coverage here and here, but what wasn’t mentioned was that the Regional Director of DFO Science, Dr. Michelle Wheatley, was directed to attend the conference and sit in on the special session on the Experimental Lakes Area where a number of government scientists were reporting recent results on climate change and mercury research. You might not know that Dr. Wheatley spoke to each of the presenters that were government employees prior to presenting and told them to mind the questions that they answered- that they could address issues around the science they presented, but specifically not to comment on the elimination of the program, or answer questions regarding the closure of ELA by the Government of Canada. You can imagine how these staff must have felt to have their boss in the audience monitoring their every word. Apparently, if you’re a government employee, you need a babysitter who is capable of terminating your employment in the room if you are presenting the science you have conducted. Why does government science matter? Given that most of what I’ve put up here so far has been criticism of the way things are done currently with respect to Government-based science in Canada, I figured it was time to do a post to make clear that I think Government-based science IS important, and CAN and SHOULD be used to meaningfully inform government policy. I think this is what we’d all like the situation to be like. It’s what I felt I was getting into when I took this job instead of pursuing a career in academics. My concern after being here for as long as I have is that the system has drifted far from the ideal situation. My sincere hope is that what I put on this site might ultimately be used to FIX the system and bring things back from the brink to a point at which we can have faith in the system once more. Not that I really think anyone in government is looking to this site for advice, but rather, if the issues raised here are raised elsewhere- by staff in division meetings, at town-halls with the Regional Directors and ADMs; but also publicly in the media, and more broadly in the public conscience- then people might start to wonder if there might be a better way of doing things than the current mode of operations. I firmly believe that the way things are and the way they are going, the current model is unsustainable and (whether intentionally or not) set up to self-destruct. One of the biggest strengths of government-based science, in my mind anyway, is that it has the capacity to answer very pressing questions quickly and effectively. One of the best environmental examples I can think of in this regard is the work that brought the Experimental Lakes Area into existence, and outlined eloquently by Dr. David Schindler at the University of Alberta in his Killam lecture in 2008. For those unfamiliar with the story, when Lake Erie was a eutrophic mess back in the 60’s, full of stinking algae and dead fish forever washing up on shores and the lake being described as “dead” in the media, the Canadian government tasked Jack Vallantyne with solving the problem. His answer was to establish the Experimental Lakes Area and poach David Schindler from Trent University to lead the program. The way David describes the connection between the work done at ELA and the way that work was communicated as advice up through the International Joint Commission (the intergovernmental body charged with managing the Great Lakes), ultimately leading to reductions in phosphate release into the lakes is, well, inspiring. What’s interesting about the rest of David’s speech from that point on (read it at the link above- it’s worth it) is that it describes where things went wrong, which in short order gets us where we are today, with many of the same problems persisting. But somehow, despite all that, policy-shaping work continues to be done by government scientists, pulled together because of the ingenuity and determination of individuals to identify problems, seek out external funding and do the critical science to inform policy makers. It’s even more disheartening to then have the department and the minister take credit for the work as being “forward-thinking”, when in reality you had to fight tooth and nail to get anything done in the first place. Why can’t academics do the work? Why have government science programs at all? Short answer: time and money. Government science programs can have more dedicated staff to do the work, frequently more resources for capitol investment (boats, vessels, facilities, etc), and ultimately, pretty deep pockets if the project in question is recognized as a legitimate priority. Much more so than would be allocated to the typical academic grant in Canada. Traditionally in government science, one could maintain long-term project funding for much longer than under typical academic funding cycles (5 years at best, fewer more common). This permits a focus on directed questions over that long term vs. having to change direction in research questions every 5 years with whatever issue has become cosmopolitan in funding circles. But again, this seems to be exactly the direction things are going. Within the Department of Fisheries and Oceans, the nation-wide contaminants program led by leading research scientists in the field that was axed has been replaced by a 5-person “advisory group”. A major part of the responsibilities of this group will be to allocate funding to academic researchers to evaluate topics around contaminants of concern. One has to wonder how many orders of magnitude less the scope of the work funded through the advisory program will be compared to the program that was in place before the cuts. It is very difficult for academics to conduct large-scale environmental monitoring programs over the long-term (but see sidebar below). In academics, the necessary infrastructure (and maintenance of that infrastructure over decades) is lacking, staff (e.g., postdocs and graduate stuents) have frequent turnover rates and a diversity of interests themselves, funding sources/priorities that are alligned to monitoring are rare if not nonexistent in Canada, and efforts are further hindered by the movement of researchers from one institution to another. Many monitoring programs which have been government-based in the past now find themselves with highly valuable datasets with which to investigate questions regarding climate change and effects on organisms, ecosystems, contaminant transport. There is a special brand of irony that many of the same programs that collected these valuable data and have the expertise to now answer these important questions are the very ones now being cut by federal departments, despite stated departmental needs for science advice on long-term processes like climate change. Worse yet, this particular government seems to be arguing that proponents for development (translation: developers, e.g., mining companies, etc.) should actually be the ones leading for and paying for monitoring programs, not the government. That’s crazy. Monitoring programs need to be well-thought out, and have consistency through time. If you look at what proponents have over the long-term, that’s not what you find. More typically, it’s whatever the lowest-bidding consultant group tells you what you need to know, and spews back at you every 2-3 years and which is nothing like the methods used by the last group they were using, and the datasets aren’t comparable. Though not out yet, let’s hope that the oilsands monitoring program that is soon to come out actually takes into account the scientific advice in design that they’ve been given, and that they don’t just pull the plug on it if the results begin to tell them something the funder (industry) doesn’t want to hear. And, let’s not forget that the only reason this monitoring program was overhauled was because Schindler’s group exposed the previous program as sadly insufficient. So yes, there is value to government science, and there are reasons we should be doing it. Government science is focused on the priorities of the day. Intrinsically, this is not a bad thing. But if the priorities of the day are actually not doing science, then there’s a problem. With this particular group in charge, the priority seems to be with facilitating development, and worry about the consequences later, rather than have any unbiased assessment of our understanding of ecosystems meaningfully inform responsible development. Sidebar: You can have long-term monitoring in Canadian academics, but more frequently, it’s tracking a particular population as opposed to a broader ecosystem approach like those adopted by past government programs evaluating contaminants and whole-ecosystem changes. Some examples that come to mind are the folks that have been working on small mammals for their whole careers: Stan Boutin, Jack Millar come to mind (Though I don’t know what the federal cuts to Kulane will mean to Stan’s group or the research they do up there). Retirement can pose a problem if someone isn’t there who finds your study system interesting; again, there are exceptions. Case in point, Jan Murie studied Columbian ground squirrels in Alberta for a large part of his career. Though he has retired, Jeff Lane appears to have taken over the work on these populations in the Kananaskis hills of Alberta (in large part apparently by recruiting volunteer field assistants– trust me- if you’ve ever spent any time in the sheep river valley, it would be a pretty amazing volunteer opportunity as the surroundings make it worth the visit), and with some interesting results, based on their recent paper in Nature.